Ever dreamt of seeing dolphins in the wild, where the mammals’ grace and power are on full display? It’s a far cry from captivity, where dolphins are confined to barren environments and forced to perform tricks for food. A quick Google search of “best places to see dolphins” can often result in an array of captive facilities. 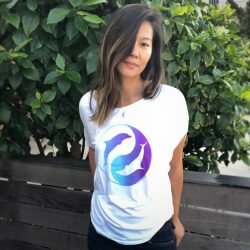 Don’t be fooled! 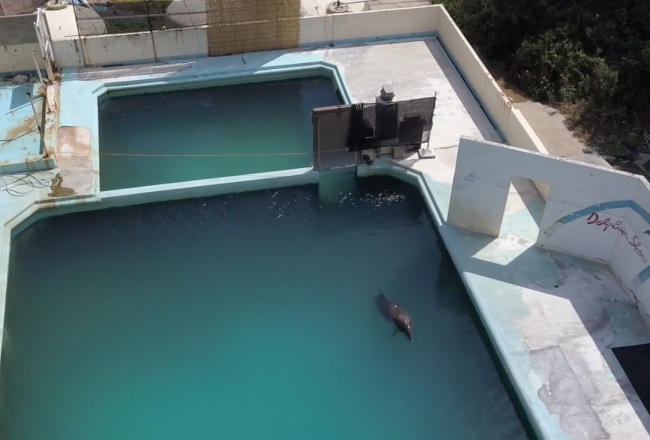 Captivity is no place for dolphins – or for you. There are many places around the world where they can be seen in their natural environments. The Azores archipelago in the mid-Atlantic is currently one of the world’s largest marine sanctuaries. There are over 20 different species of whales and dolphins that can be spotted here. Some species are resident, and some are migratory but there is something to see here nearly all year long! Resident dolphins include bottlenose, common and Risso’s dolphins, and migratory dolphins that prefer warm waters include pilot whales, Atlantic spotted dolphins and striped dolphins. The coastline between Santa Barbara and San Diego is home to one of the densest populations of dolphins in the world. Bottlenose dolphins, Risso’s dolphins, Pacific white sided dolphins and most abundantly, common dolphins can be sighted here. Although the name “common” might sound dull, long and short beaked dolphins can make the most magnificent sightings here all year long. They have been known to form megapods of thousands that sometimes “stampede” to travel over large distances. Pilot whales, false killer whales and the largest of all dolphins – orcas – are also occasionally sighted in these waters! The Gulf of Taranto is home to Jonian Dolphin Conservation (JDC), which has carried out scientific research and protection of the gulf’s dolphins. 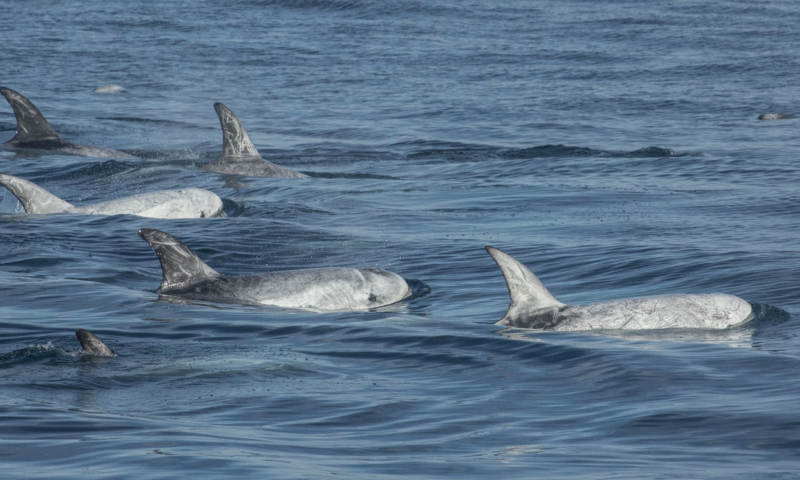 Species found in this area include striped dolphins, bottlenose dolphins, common dolphins and Risso’s dolphins. 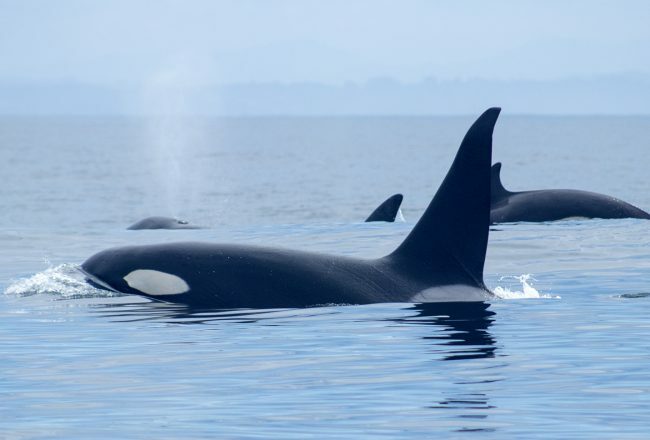 There’s also a chance of spotting other cetacean species such as pilot whales, false killer whales and killer whales, rough toothed dolphin, fin whales and sperm whales. 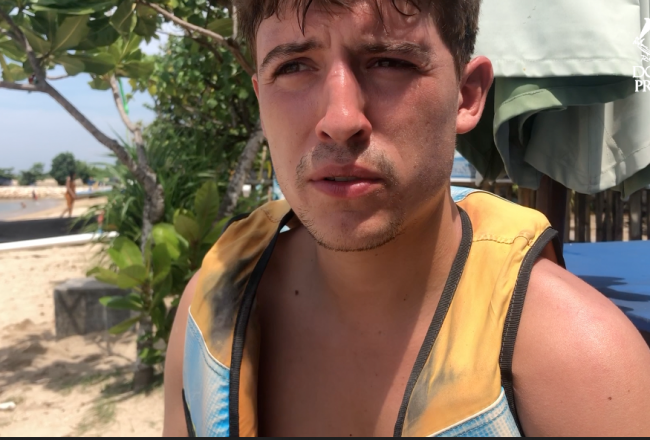 JDC offers eco tours that not only support their research and conservation efforts but also introduce tourists and the local community to the dolphins and their marine habitat. The breathtakingly blue, tropical waters of the Bahamas is a picture-perfect setting for encounters with wild dolphins. Atlantic spotted dolphins frequent the region, as well as Atlantic bottlenose dolphins. 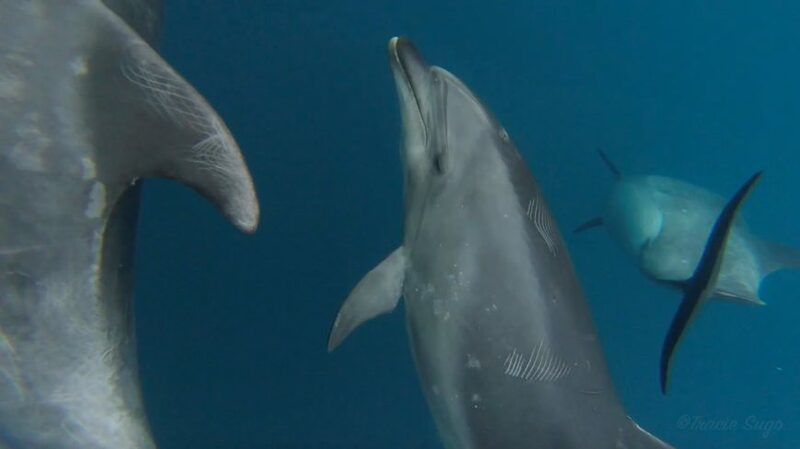 The spotted dolphins in particular are often reported to be curious towards humans, and sometimes playfully approach divers and snorkelers. Sometimes dolphins can be as curious about us as we are of them! There are several good places to see dolphins in Australia, including Byron Bay, Hervey Bay and the Ningaloo coast. Moreton Bay marine park is home to two resident dolphin species: Indo-Pacific bottlenose and the Australian humpback dolphin all year long. Many individuals have been identified, catalogued and studied by local researchers. The bottlenose are known to be avid surfers- you may see they close to shore catching some waves or feeding near the rocky headlands! 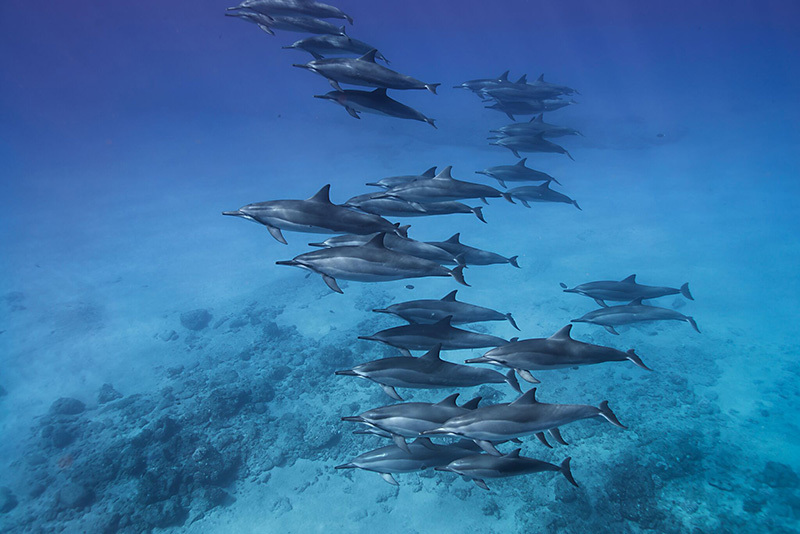 The waters surrounding the Hawaiian islands host a unique population of spinner dolphins. Spinners are famous for acrobatic “spinning” displays as they leap through the air. Although this species is found in several areas of off-shore tropical waters around the world, the Hawaiian population often comes in closer to shore and there are many great opportunities to see them from nearly all of the main islands. Aside from spinner dolphins, there are at least 18 species of marine mammals that live in Hawaiian waters, including: pantropical spotted dolphin, false killer whales, short finned pilot whales, melon headed whales, pygmy killer whales, sperm whales and beaked whales. Many of these other species are spotted off the Kona coastline of the big island, since the offshore trench is so deep. In the beautiful blue waters off Japan’s southern main island (near Nagasaki and Kumamoto), lives a pod of around 200 wild Indo-Pacific bottlenose dolphins. Far from hunting communities like Taiji, in Amakusa man and dolphin have long lived in harmony. The bottlenose dolphins here are present year round due to the protection of the marine sanctuary and an abundant source of food. They also tend to be very curious and boat friendly. There are several dolphin watching tours operating from local ports, allowing for many chances to see this unique population of dolphins! 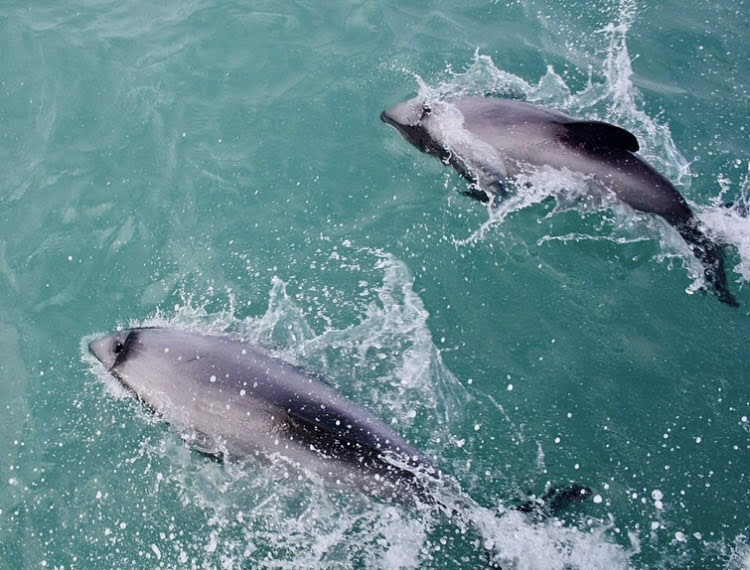 Hector’s dolphins are protected in Akaroa Harbour by a marine mammal sanctuary. These dolphins are the world’s smallest dolphin species. They are endangered and endemic to New Zealand, meaning that you will not find them anywhere else in the world! These little dolphins inhabit some areas of New Zealand’s south island and tend to be around most of the year. Searching for dolphin watching options in Florida can be quite hard to weed through with all the captive facilities that pop up. Marco Island and Naples are some of the best spots to see wild dolphins in Southern Florida. In the rivers of Marco Island and the waters of the Gulf of Mexico, there are an abundance of mullet which is a vital prey source for the local bottlenose dolphins. There are a few eco-tour operators that explore the dolphins’ habitat here – and there’s a possibility of seeing manatees too! What makes this spot so special is the phenomenon known as the sardine run – one of the largest bio-mass events on the planet. Hundreds of dolphins, whales, sharks and pinnipeds flock to this bloom of sardines, as it travels along the South African coast from Cape Town to the eastern cape. As a natural phenomenon relying on complex interrelation of currents, weather and animals, the sardine run can be very hard to predict. 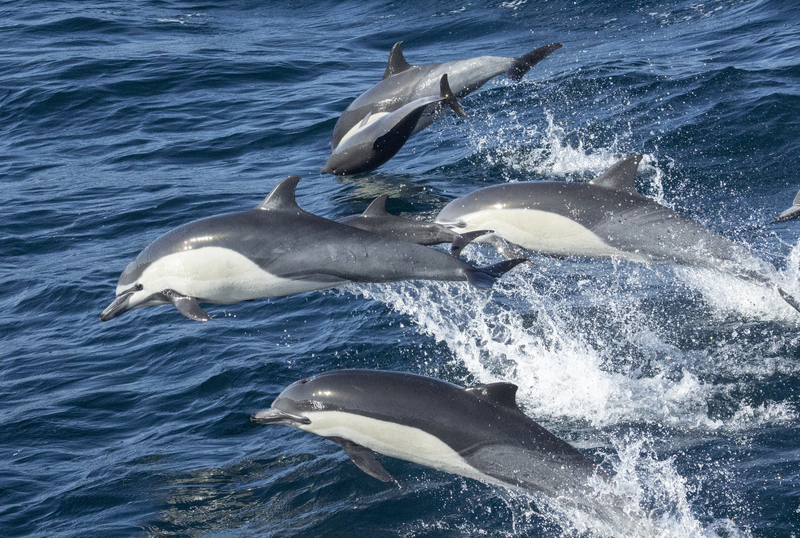 However, the waters around Cape Town also support a variety of dolphin species including common, bottlenose, Indo-Pacific humpback and dusky dolphins all year long. 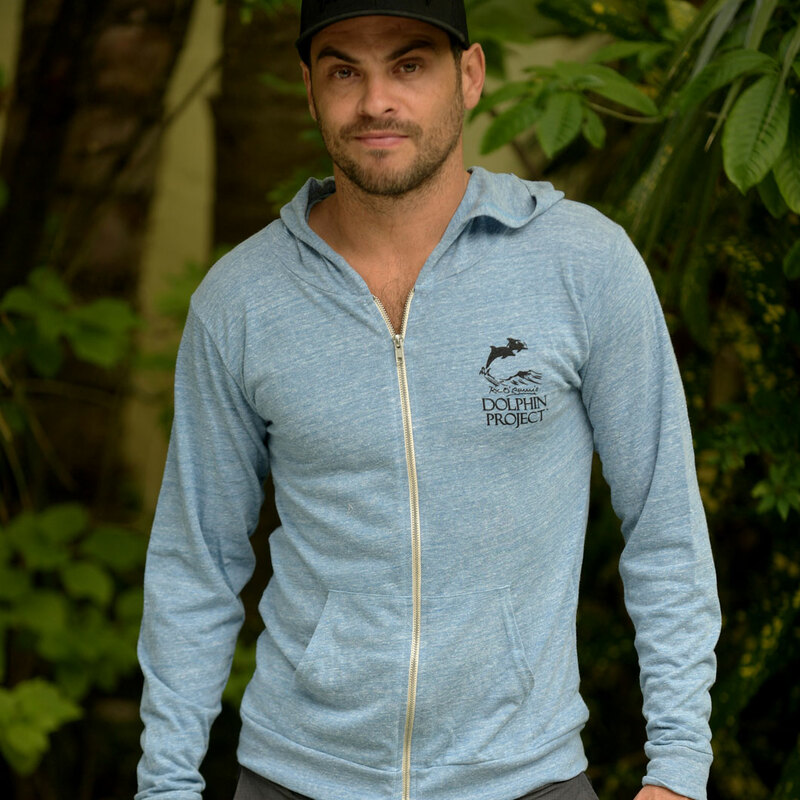 Catching a glimpse of a wild dolphin pod is always an exhilarating experience. Keep in mind they are wild animals, and should be treated as such. The best encounters happen for both you and the dolphins when they approach you; don’t chase or harass them. Many species seek out interaction with boats, and love to ride in the pressure wave created by the bow or surf in the boat wake. Sometimes, they even like to look at the people on board! Once you’ve experienced dolphins in the wild, it is clear that the ocean is where they thrive. Say no to the captive show, see them wild!